It would be enough to listen to the hatred that the bourgeoisie injects into its denouncements against Socialism to deduce that there is something very good for human beings that implies ending the hierarchy of oppressors in order to proceed to a Socialist system capable of eradicating the interests of capital over the human being, as well as eradicating the entire individualist, racist, exclusionary and oppressive burden that has made our existence bitter for too long. To establish as a priority society itself, has been a struggle that is increasingly valid according to the ecological and humanistic ravages that capitalism has caused throughout its history. Realism reaffirms the validity of Socialism. 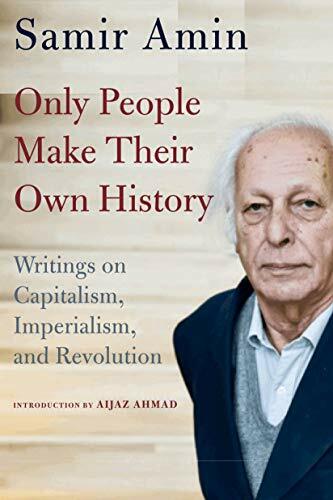 Samir Amin (1931-2018) was one of the great organic intellectuals of our time. He synthesized theory and practice; Marxism and developmentalism; comradeship and critique, like no other. Only People Make Their Own History is the first ever posthumous publication of Amin’s work. It includes ten of Amin’s most important essays published in the 21st century, and an introduction by renowned Marxist literary critic, Aijaz Ahmad. “Socialism is back in fashion,” declares the cover story of this week’s Economist, the British weekly newspaper founded 176 years ago. Despite proclamations of the “end of history” following the dissolution of the Soviet Union, the newspaper roots the “remarkable” growth of popular support for socialism in decades of growing social inequality. One hundred years ago this month, on January 15, 1919, the great revolutionary thinker and anti-war activist, Rosa Luxemburg, was murdered in Berlin by the Freikorps paramilitary group, with her body dumped into the Landwehr Canal. Her comrade in opposition to the Social Democratic Party of Germany support for German involvement in World War 1, and in splitting from the SPD to eventually form the Communist Party of Germany, Karl Liebknecht, was also murdered in the course of the same events. Luxemburg occupies a special place in the traditions of the global left for her powerful political interventions and ceaseless invocation of revolution to break the hammerlock of capitalism on democracy and development, and for her major economic text, The Accumulation of Capital (1913), linking capitalist development to dispossessions, imperialism and militarism. Her searing critique of capitalist democracy was central to a political strategy that combined an insistence on the capacity for revolt and self-organization of the masses with recognition of the role of the socialist party in education, agitation, and parliamentary representation and struggle in the interests of the working classes. One hundred years on, Luxemburg remains a source of political inspiration and integrity for socialists around the world. 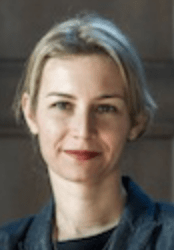 The contribution of traditional social democracy to the consolidation of neoliberalism in Europe illustrates the difficulties of developing a nationalist left alternative in the contemporary capitalist state, argues Lea Ypi. Contemporary socialism requires new ways of organising and must be transnational. Using the British case, she explains why neither Remain nor Leave fully capture the demands of the left.